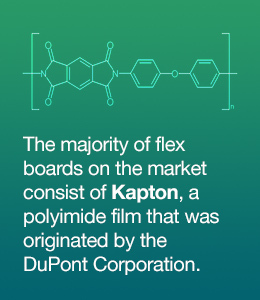 In recent years, flex and rigid-flex circuit boards have grown in popularity because of the options they allow for in a variety of uses. Basically, they can be bent, folded and even wrapped around objects, so they can be used to achieve applications that would never be possible with flat circuit boards. For example, a flex board might be used for a piece of equipment that would require a board to fold at an angle and still carry current from one end to the other without the need for connecting panels.